From the perspective of the burst global Bubble thesis, Brazil has been near the top of my list of concerns. Regrettably, it is becoming a poster child for the consequences of unfettered global “Wildcat Finance”: Destabilizing financial flows, Credit and speculative excess, corruption and malfeasance, deep structural maladjustment, festering social tension and political instability. This week saw Brazil post a wider-than-expected Current Account Deficit ($2.5bn). Inflation is currently running above 9%, its currency is in serious trouble, and the central bank is on the hook for enormous quantities of currency swaps. The major state-directed banks are increasingly vulnerable. And the Brazilian economy is expected to contract about 2% this year. Brazil’s Bovespa equities index sank 6.0% this week to a four-month low. Brazil CDS jumped to the highest level since March. There are ominous parallels to the late-twenties. The “Roaring Twenties” were a period of growing global imbalances and market instability, along with mounting deflationary pressures. There was the Fed’s infamous “coup de whiskey” that spurred the fateful 1927 to 1929 speculative run in U.S. markets. Cross-border financial flows turned increasingly destabilizing. Since 2012, global central banks have been unrelentingly generous with their Whiskey shots. The results have been troublingly late-twenties-like. Over-liquefied markets have gone wild, masquerading as a “bull market.” And as inflationary Bubbles have run roughshod through global securities markets, real economies have continued to stagnate. Imbalances have expanded. Structural maladjustments have significantly worsened. Global “money” and Credit have deteriorated profoundly. Massive global financial flows have turned hopelessly dysfunctional. It sure appeared that bulls were caught flatfooted by this week’s market downdraft. The view has been that the resilient U.S. economy was largely immune to EM and global issues. This week provided evidence of U.S. corporate earnings vulnerability that to this point has remained largely unappreciated. The view has been that U.S. Credit is largely impervious to global issues. Cracks may be surfacing in this fallacy as well. WHEN prices rise, demand falls. Exceptions to the most basic rule of markets are curiosities—the kind of thing an economist might bore you with at a dinner party. Set carefully, minimum wages can provide such an example. But policymakers must not assume this is a cast-iron law. Big rises in minimum wages are a gamble with people’s futures. Modest minimum wages do not seem to sap demand for labour. Truckloads of studies, from both America and Europe, show that at low levels—below 50% of median full-time income, with a lower rate for young people—minimum wages do not destroy many jobs. When Britain set a new minimum wage in 1998 doom-mongers forecast that jobs would vanish. Employment proved resilient. Minimum wages help offset firms’ bargaining power over employees reluctant to risk moving elsewhere. They may even boost productivity and reduce staff turnover by making workers value their jobs. Encouraged by this evidence, many are clamouring to make minimum wages far more generous. In America campaigners want the federal minimum wage more than doubled from today’s stingy $7.25 an hour to $15 an hour, or 77% of median hourly income. They have had some success; several big cities, including New York this week, plan to phase in a $15 minimum wage, and Hillary Clinton’s two rivals for the Democratic nomination support the policy. In Britain the Conservative government is overruling the technocrats who usually set the wage floor to shift it from 47% to 54% of median pay. Germany has introduced a minimum wage which is reasonable in, say, Cologne but is worth a generous 62% of median pay in the poorer east of the country. By moving towards sharply higher minimum wages, policymakers are accelerating into a fog. Little is known about the long-run effects of modest minimum wages (see page 66). And nobody knows what big rises will do, at any time horizon. It is reckless to assume that because low minimum wages have seemed harmless, much larger ones must be, too. One danger is that a high minimum wage will push some workers out of the labour force for good. A building worker who loses his job in a recession can expect to find a new one when the economy picks up. A cashier with few skills who, following the introduction of a high minimum wage, becomes permanently more expensive than a self-service checkout machine will have no such luck. The British government’s defence of its new policy—that a strong economy will generate enough jobs to replace those lost to a higher minimum wage—is disingenuous: the jobs are still lost. That is why Milton Friedman described minimum wages as a form of discrimination against the low-skilled. This is the worst time to be raising the cost of workers. Technological advances are enabling firms to replace more and more people with computers and robots, imperilling jobs. Some low-skilled positions, such as cleaning, are hard to automate. But millions of low-skilled workers sitting at checkouts and receptions, picking products off warehouse shelves and even driving lorries are vulnerable to replacement. An ever-higher minimum wage will encourage investment in the technology to replace them. Higher minimum wages will also affect workers in tradable sectors such as tourism and manufacturing, where they risk losing ground to foreign competitors. The irony is that minimum wages are a bad way to combat poverty. The Congressional Budget Office reckons that only one-fifth of the income benefits go to those beneath the poverty line. The richest 10% of British households will benefit more from the higher rate than the poorest 10%, because many low-paid people are their family’s second earners. What is more, a minimum wage is not free. Someone must pay. The common refrain that companies will shoulder the burden is the product of hope rather than evidence. If the cost is passed on to consumers, the minimum wage turns into a subsidy funded by a sales tax—a revenue-raiser that, again, falls heavily on the poor. Better tools are available. Tax credits (income top-ups for low earners) are a much more efficient way for governments to help the poor—about three-quarters of the benefit ends up with employees. To the extent that firms benefit, they are encouraged to employ low-skilled workers rather than automate jobs. Minimum wages have a powerful emotional and political appeal. But governments should deal in evidence not sentiment. 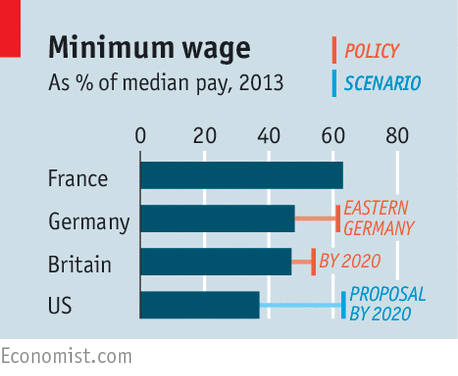 Minimum wages can work as part of the policy mix only if they are modest. Set too high, they harm the very people they are supposed to help. Near the port of Manta on the Pacific Ocean, Chinese banks are in talks to lend $7 billion for the construction of an oil refinery, which could make Ecuador a global player in gasoline, diesel and other petroleum products. 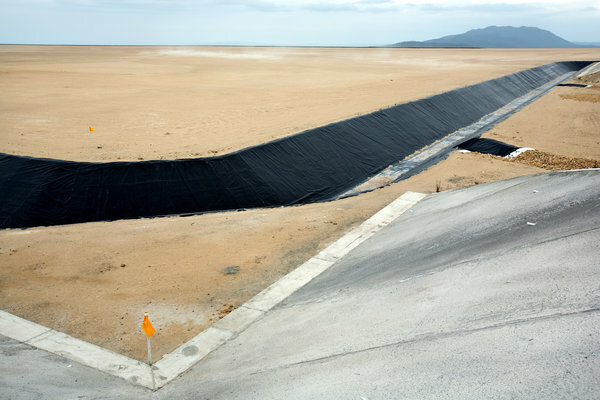 Across the country in villages and towns, Chinese money is going to build roads, highways, bridges, hospitals, even a network of surveillance cameras stretching to the Galápagos Islands. State-owned Chinese banks have already put nearly $11 billion into the country, and the Ecuadorean government is asking for more. Ecuador, with just 16 million people, has little presence on the global stage. But China’s rapidly expanding footprint here speaks volumes about the changing world order, as Beijing surges forward and Washington gradually loses ground. While China has been important to the world economy for decades, the country is now wielding its financial heft with the confidence and purpose of a global superpower. With the center of financial gravity shifting, China is aggressively asserting its economic clout to win diplomatic allies, invest its vast wealth, promote its currency and secure much-needed natural resources. It represents a new phase in China’s evolution. As the country’s wealth has swelled and its needs have evolved, President Xi Jinping and the rest of the leadership have pushed to extend China’s reach on a global scale. China’s currency, the renminbi, is expected to be anointed soon as a global reserve currency, putting it in an elite category with the dollar, the euro, the pound and the yen. China’s state-owned development bank has surpassed the World Bank in international lending. And its effort to create an internationally funded institution to finance transportation and other infrastructure has drawn the support of 57 countries, including several of the United States’ closest allies, despite opposition from the Obama administration. Even the current stock market slump is unlikely to shake the country’s resolve. China has nearly $4 trillion in foreign currency reserves, which it is determined to invest overseas to earn a profit and exert its influence. China’s growing economic power coincides with an increasingly assertive foreign policy. It is building aircraft carriers, nuclear submarines and stealth jets. In a contested sea, China is turning reefs and atolls near the southern Philippines into artificial islands, with at least one airstrip able to handle the largest military planes. The United States has challenged the move, conducting surveillance flights in the area and discussing plans to send warships. China represents “a civilization and history that awakens admiration to those who know it,” President Rafael Correa of Ecuador proclaimed on Twitter, as his jet landed in Beijing for a meeting with officials in January. But the show of financial strength also makes China — and the world — more vulnerable. Long an engine of global growth, China is taking on new risks by exposing itself to shaky political regimes, volatile emerging markets and other economic forces beyond its control. Any major problems could weigh on China’s growth, particularly at a time when it is already slowing. The country’s stock market troubles this summer are only adding to the pressure, as the government moves aggressively to stabilize the situation. While China has substantial funds to withstand serious financial shocks, its overall health matters. When China swoons, the effects are felt worldwide, by the companies, industries and economies that depend on the country as the engine of global growth. In many cases, China is going where the West is reluctant to tread, either for financial or political reasons — or both. After getting hit with Western sanctions over the Ukraine crisis, Russia, which is on the verge of a recession, deepened ties with China. The list of borrowers in Africa and the Middle East reads like a who’s who of troubled regimes and economies that may have trouble repaying Chinese loans, including Yemen, Syria, Sierra Leone and Zimbabwe. With its elevated status, China is forcing countries to play by its financial rules, which can be onerous. Many developing countries, in exchange for loans, pay steep interest rates and give up the rights to their natural resources for years. China has a lock on close to 90 percent of Ecuador’s oil exports, which mostly goes to paying off its loans. China also has a shaky record when it comes to worker safety, environmental standards and corporate governance. While China’s surging investments have created jobs in many countries, development experts worry that Beijing is exporting its worst practices. Chinese mining and manufacturing operations, like many American and European companies in previous decades, have been accused of abusing workers overseas. China’s coal-fired power plants and industrial factories are adding to pollution problems in developing nations. Issues have already surfaced in Ecuador. 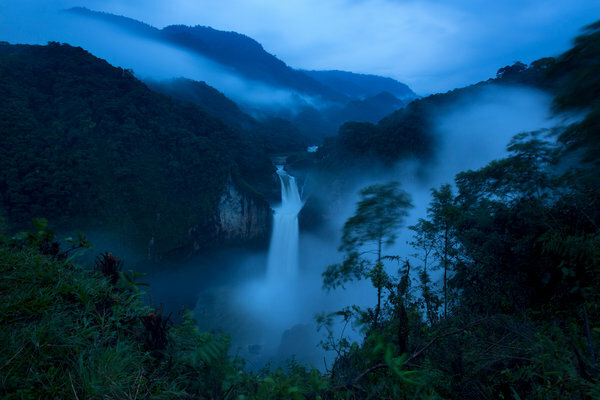 A few miles from the site of the hydroelectric plant, the Coca River vaults down a 480-foot waterfall and cascades through steep canyons toward the Amazon. It is the tallest waterfall in Ecuador and popular with tourists. When the dam is complete and the water is diverted to the plant, the San Rafael falls will slow to a trickle for part of the year. With climate change already shrinking the Andean glacier that feeds the river, experts debate whether the site will have enough water to generate even half the electricity predicted. Last December, an underground river burst into a tunnel at the site. The high-pressure water flooded the powerhouse, killing 14 workers. It was one of a series of serious accidents at Chinese projects in Ecuador, several of them fatal. When the research arm of China’s cabinet scheduled an economic development conference this spring, the global financial and corporate elite came to Beijing. The heads of major banks and pharmaceutical, auto and oil companies mingled with top Chinese officials. Some had large investments in the country and wanted to protect their access to the domestic market. Others came to court business, as Beijing channeled more of its money overseas. At the event, the managing director of the International Monetary Fund, Christine Lagarde, commended China’s efforts to engage globally through investment and trade, as well as to enact economic reforms. It “is good for China and good for the world — their fates are intertwined,” she said in her keynote address. It is the world’s largest buyer of oil, which gives China substantial sway over petropolitics. It is also increasingly the trading partner of choice for many countries, taking the mantle from Western nations. China’s foreign direct investment — the money it spends overseas annually on land, factories and other business operations — is second only to the United States’, having passed Japan last year. Chinese companies are at the center of a worldwide construction boom, mostly financed by Chinese banks. They are building power plants in Serbia, glass and cement factories in Ethiopia, low-income housing in Venezuela and natural gas pipelines in Uzbekistan. This striking evolution happened in a short time. While China made some economic progress under Mao Zedong, his policies left the country turbulent and isolated. Hundreds of thousands of people were executed after the Communist takeover in 1949, accused of opposing the revolution or owning too much land. Famine killed tens of millions starting in the late 1950s. The Cultural Revolution, beginning in 1966, unleashed a decade of violence and economic stagnation. When China started to open its economy in the late 1970s, it was among the poorest nations. Beijing had to court companies and investors. One of the first multinationals to enter was the American Motors Corporation, which built a factory in Beijing. The project was initially aimed at producing Jeeps for export to Australia, rather than building cars for Chinese consumers, who still largely rode bicycles. Today, China produces two million cars a month, far more than any other country. It mirrors the broader transformation of the economy from an insular agrarian society to the world’s largest manufacturer. The change has showered wealth on China. But it has also brought new demands, like a voracious thirst for energy to power its economy. The confluence of trends has compelled China to look beyond its borders to invest those riches and to satisfy its needs. Oil has been on the leading edge of this investment push. Energy projects and stakes have accounted for two-fifths of China’s $630 billion of overseas investments in the last decade, according to Derek Scissors, an analyst at the American Enterprise Institute. China is playing both defense and offense. With an increased dependence on foreign oil, China’s leadership has followed the United States and other large economies by seeking to own more overseas oil fields — or at least the crude they produce — to ensure a stable supply. In recent years, state-controlled Chinese oil companies have acquired big stakes in oil operations in Cameroon, Canada, Kazakhstan, Kyrgyzstan, Iraq, Nigeria, São Tomé and Príncipe, Sudan, Uganda, the United States and Venezuela. For President Correa of Ecuador, China represents a break with his country’s past — and his own. His father was imprisoned in the United States for cocaine smuggling and later committed suicide. At the University of Illinois at Urbana-Champaign, Mr. Correa focused his doctoral thesis on the shortcomings of economic policies backed by Washington and Western banks. As a politician, he embraced Venezuela’s socialist revolution. During his 2006 campaign, Mr. Correa joked that the Venezuelan president Hugo Chávez’s comparison of President George W. Bush with Satan was disrespectful to the devil. In an early move as president, Mr. Correa expelled the Americans from a military base in Manta, an important launching pad for the Pentagon’s war on drugs. “We can negotiate with the United States over a base in Manta if they let us put a military base in Miami,” President Correa said at the time. Next, he severed financial ties. In late 2008, Mr. Correa called much of his country’s debt, largely owned by Western investors, “immoral and illegitimate” and stopped paying, setting off a default. At that point, Ecuador was in a bind. The global financial crisis was taking hold and oil prices collapsed. Ecuador and Petroecuador, its state-owned oil company, started running low on money. Shut out from borrowing in traditional markets, Ecuador turned to China to fill the void. PetroChina, the government-backed oil company, lent Petroecuador $1 billion in August 2009 for two years at 7.25 percent interest. Within a year, more Chinese money began to flow for hydroelectric and other infrastructure projects. The Chinese money, though, comes with its own conditions. Along with steep interest payments, Ecuador is largely required to use Chinese companies and technologies on the projects. China has lent nearly $11 billion to Ecuador, much of which has gone for hydroelectric, bridge, road and other infrastructure projects. The Coca Codo Sinclair hydroelectric facility, which is being built by Sinohydro for $2.2 billion, is the largest Chinese construction project in Ecuador. Other such projects include Sopladora, in Morona Santiago province, built by Gezhouba, and Toachi Pilatón, financed by a Russian consortium, but built by the China International Water & Electric Corp.
A 1.25 mile, four-lane bridge over the Babahoyo River was built by the Guangxi Road & Bridge Engineering Corp. at a cost of over $100 million. It opened in 2011. A $55.6 million project to redirect the flow of the Bulubulu, Cañar and Naranjal rivers was completed this year. It was built by a consortium of Chinese firms — Gezhouba, Hydrochina and China CAMC Engineering. The Chinese oil companies CNPC and Sinopec, as the Andes Petroleum consortium, run various oil projects in the Amazonian province of Sucumbios. In Orellana and Pastaza provinces, PetroOriental and Andes Petroleum manage concessions. China’s Sinohydro is reconstructing and modernizing several roads in Azuay and Morona Santiago provinces. A Chinese joint venture, CRCC-Tongguan Investment, paid $100 million to the Ecuadorean government in 2012 for the rights to the Mirador Copper Mine, with a commitment to invest $1.4 billion over five years. 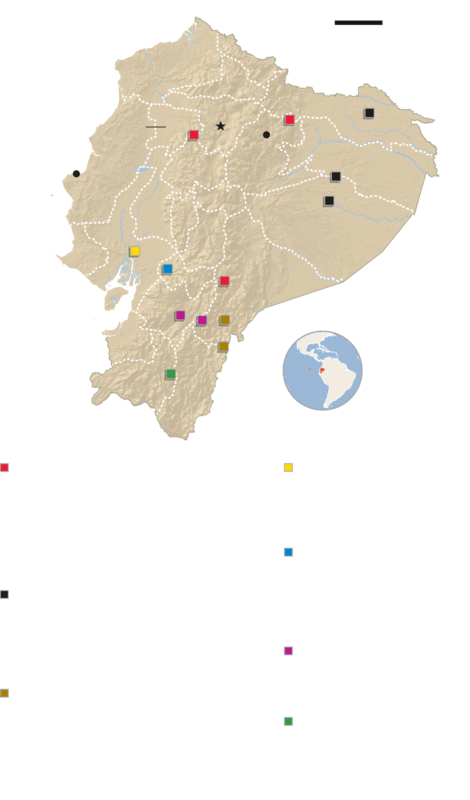 Its Ecuadorean subsidiary, EcuaCorriente, also holds copper and gold properties further north, in Morona Santiago province. The wind farm at Villonaco, which generates 16.5 megawatts of power, began operations in 2013. It was built by the Chinese company, Xinjiang Goldwind. International rules limit how the United States and other industrialized countries can tie their loans to such agreements. But China, which is still considered a developing country despite being the world’s largest manufacturer, doesn’t have to follow those standards. It is one reason that China’s effort to build an international development fund, the Asian Infrastructure Investment Bank, has faced criticism in the United States. Washington is worried that China will create its own rules, with lower expectations for transparency, governance and the environment. While China has sought to quell those fears over the infrastructure fund, its portfolio of projects around the world imposes tough terms and sometimes lax standards. Since 2005, the country has landed $471 billion in construction contracts, many tied to broader lending agreements. In Ecuador, a consortium of Chinese companies is overseeing a flood control and irrigation project in the southern Ecuador province of Cañar. A Chinese engineering company built a $100 million, four-lane bridge to span the Babahoyo River near the coast. Such deals typically favor the Chinese. PetroChina and Sinopec, another state-controlled Chinese company, together pump about 25 percent of the 560,000 barrels a day produced in Ecuador. Along with taking the bulk of oil exports, the Chinese companies also collect $25 to $50 in fees from Ecuador for each barrel they pump. China’s terms are putting countries in precarious positions. In Ecuador, oil represents roughly 40 percent of the government’s revenue, according to the United States Energy Department. And those earnings are suddenly plunging along with the price of oil. With crude at around $50 a barrel, Ecuador doesn’t have much left to repay its loans. If Ecuador or other countries can’t cover their debts, their obligations to China may rise. A senior Chinese banker, who spoke only on the condition of anonymity for diplomatic reasons, said Beijing would most likely restructure some loans in places like Ecuador. To do so, Chinese authorities want to extend the length of the loans instead of writing off part of the principal. That means countries will have to hand over their natural resources for additional years, limiting their governments’ abilities to borrow money and pursue other development opportunities. China has significant leverage to make sure borrowers pay. As the dominant manufacturer for a long list of goods, Beijing can credibly threaten to cut off shipments to countries that do not repay their loans, the senior Chinese banker said. With its economy stumbling, Ecuador asked China at the start of the year for an additional $7.5 billion in financing to fill the growing government budget deficit and buy Chinese goods. Since then, the situation has only deteriorated. In recent weeks, thousands of protesters have poured into the streets of Quito and Guayaquil to challenge various government policies and proposals, some of which Mr. Correa has recently withdrawn. A pall of acrimony surrounds the Coca Codo Sinclair hydroelectric plant, Ecuador’s largest construction project. 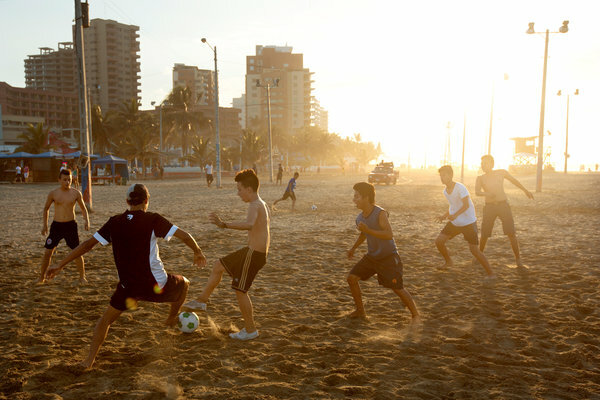 Few of the Chinese workers speak Spanish, and they live separately from their Ecuadorean counterparts. When the workers leave their camp in the village of San Luis at noon for lunch, they walk down the main street in separate groups. At night, they also walk in separate groups up the hill to the local brothel. 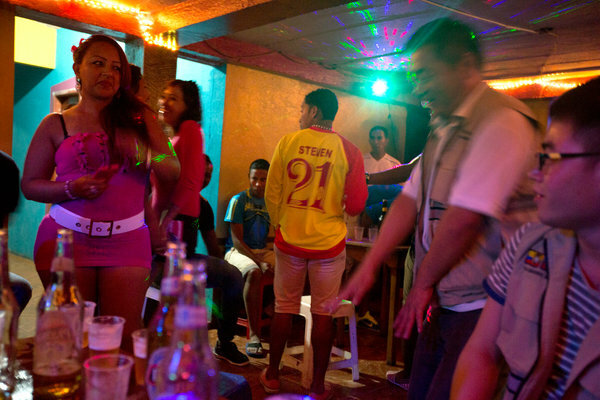 (Prostitution is legal in Ecuador.) The workers sit at separate tables drinking bottles of the Ecuadorean beer, Pilsener. When the Chinese and Ecuadorean workers return to camp, typically drunk, there have been shoving matches. Once a Chinese manager threw a tray at an Ecuadorean worker at mealtime. 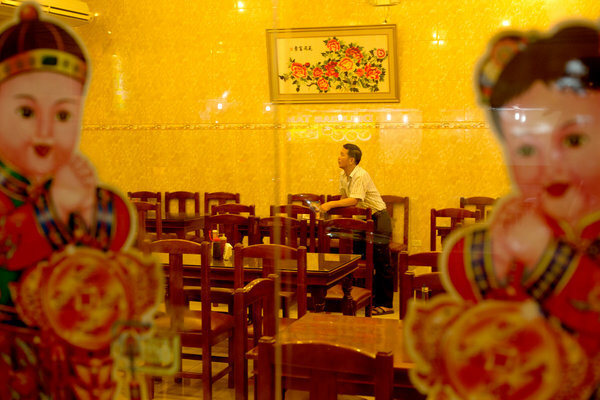 Like other workers, Mr. Taipe, 57, works 10 consecutive days. Then he drives seven hours home to spend four days with his family, then returns for another 10 days. Mr. Taipe and others have complained about low pay for grueling work. He initially made $600 a month. 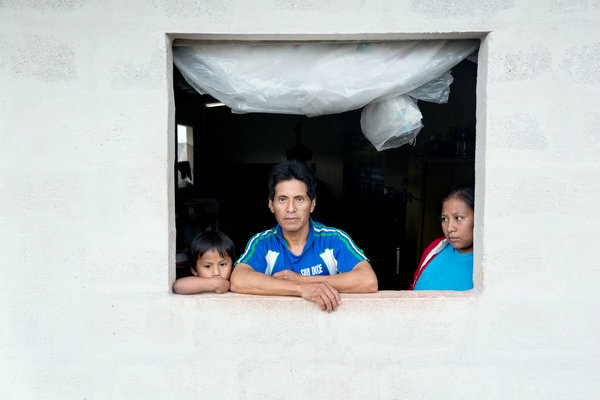 After work stoppages, he now earns $914 a month, a decent wage by Ecuadorian standards. Kevin Wang, a Chinese supervisory engineer at the project, played down the issues, saying, “Relations are friendly.” He predicted that the project would be a success. “We can do something here really important,” he said. The hydroelectric project — led by Sinohydro, the Chinese engineering company, and financed by the Chinese Export-Import Bank — was supposed to be ready by late 2014. But the project has been plagued by problems. A drilling rig jammed last year, suspending the excavation for a critical tunnel. Then in December, 11 Ecuadorean and three Chinese workers were killed and a dozen were hurt when an underground river burst into the tunnel and flooded the powerhouse. Workers drowned or were crushed by flying rocks and metal bars. The environmental impact, too, has been controversial. The site sits in an area prone to earthquakes and near the base of a volcano that erupted this spring and produced short lava flows. “We all thought it was too dangerous to put the project there,” said Fernando Santos, a former energy minister who served in the late 1980s. 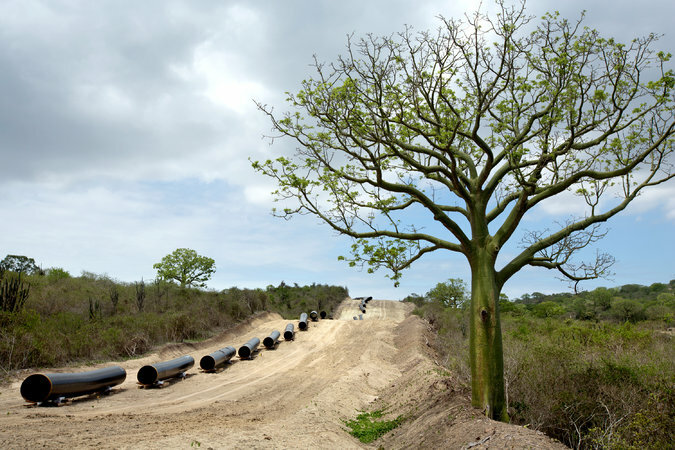 The construction of multiple access roads threatens the Amazon ecosystem. The roads allow farmers and cattle ranchers to push their way into some of the most remote tropical rain forests in Ecuador, a major corridor for roaming bears and jaguars. The dam, which will divert water to produce electricity, will nearly dry up a 40-mile stretch of the Coca River for several months of the year, including the falls. An entire aquatic system will be wiped out, because the life cycles of many fish and other species are linked to variations in water flow. “It would be like leaving Niagara Falls without water,” said Matt Terry, executive director of the Ecuadorian Rivers Institute. 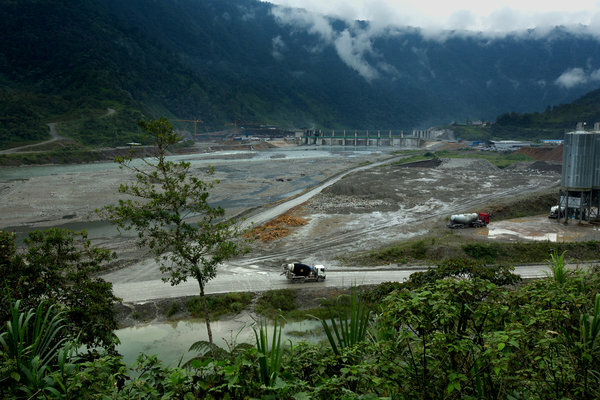 Sinohydro said the location of the project had been determined by its employer, Ecuador’s government. The Ecuadorean foreign minister brushes aside many environmental concerns. “If you worry about earthquakes, you wouldn’t build anything,” said Mr. Patiño, pointing to the experience of California. When Ecuadorean delegations visited China in recent years to seek support for the refinery project outside Manta, a festive atmosphere pervaded the trips. The Ecuadorean representatives stayed in penthouse suites at luxurious hotels, with Chinese businesses paying the bills. The Chinese provided buses and Spanish-speaking guides to tour the Forbidden City and the Great Wall. Officials took turns toasting one another, hoisting baijiu, the traditional Chinese spirit. With each drink, the Chinese and Ecuadoreans pledged their commitment. Confident of China’s support, Ecuador has been moving aggressively on the refinery Project. Outside the port of Manta, Ecuadorean workers have flattened 2,000 acres for the Refineria del Pacifico. Workers are busy laying Chinese-made pipe. Ecuador has already spent $1 billion of its own money on the project. But for now, the pipes just go to several empty white sandy plateaus. The Chinese banks have not officially agreed to finance $7 billion of the project, which is expected to cost roughly $10 billion. Depending on what happens, the refinery will either be the crown jewel of Ecuador’s relationship with China or an expensive monument to the limits of its largess. For the Ecuadorean government, the sophisticated refinery is central to making the country self-sufficient in energy. For Beijing, it could mean more gasoline and other petroleum products shipped directly to China, without depending on the American refineries that now process them. But senior executives at PetroChina have misgivings. Even before oil prices started tumbling in 2014, the company, like many in the industry, cut investment spending sharply. This year, PetroChina plans to cut it another 10 percent. A continuing anticorruption campaign has added to the chill on energy spending. China is broadly reassessing its global investment strategy as the country faces new economic challenges at home and abroad. Rather than blindly spreading its wealth around the world, China is growing more sophisticated about its deal-making in an effort to protect its profits and to ensure the right mix. The prospects for the Ecuador refinery project now look hazy. Several Ecuadorean energy experts question the economic sense of the project. Ecuador, they say, cannot justify the refinery unless the country significantly increases production. For that to happen, it must drill deeper into the Amazon, an environmentally risky and expensive proposition that has been politically charged since the operations of Texaco and the state oil company caused widespread pollution in the 1970s and 1980s. “If there is no guarantee of more production, this refinery will be a white elephant,” said Mauricio Pozo Crespo, a former economy minister. The uncertainty worries many in Ecuador. So does Luis Kwong Li, one of a handful of Chinese-Ecuadorean restaurateurs in Manta. When he and his Chinese-born parents heard about the refinery project in 2009, they closed their restaurant in Guayaquil and moved to Manta to open a new one. They thought the restaurant would cater to Chinese employees looking for dim sum. But by this spring, only two Chinese investors, who hoped to build a valve factory, had come for lunch. Clifford Krauss reported from El Chaco and Keith Bradsher from Hong Kong and Washington.